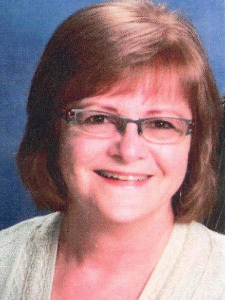 Marilyn K. Sestak has been a member of FCSLA Branch W-093, Tabor, SD for the past 20 years. In the past year, Marilyn has been directly involved in a successful soup kitchen fundraiser raising money to help toward expenses due to illness for a teenage member of the organization. Over the years, Marilyn has served in various fundraising soup kitchen events which were raising funds for the youth activities. She presently serves as the Treasurer of the Scholarship Committee which awards scholarship money to college student members. Marilyn has directly assisted at the District #13 FCLSA meeting held last November in Tabor, SD with the setup, serving and cleanup of the meeting; also serves with kitchen preparation at the monthly branch meetings. Marilyn attends funerals of departed members of branch W-013 and furnishes food to the family. Branch W-093 is involved with their local ethnic celebration, Czech Days. Marilyn helps in building of the parade float and is one of the ticket takers at the dances held each year during the celebration of Czech heritage. Marilyn is a current and very devout member of the St. Wenceslaus Catholic Church and its Altar Society. She works and bakes kolaces for the annual Czech Days celebration, works and donates toward the annual church bazaar, and contributes towards the advent baby shower. She and other members of the society assist the nursing home residents with bingo and help serve at the Banquet Communal Meal which the Society hosts in Yankton, SD. She also helps deliver canned goods to the local food pantry. This past year, Marilyn was directly involved in Team Tate Foundation 5K run/walk, which is a fundraiser to educate infant caregivers about Sudden Infant Death Syndrome and to promote safe sleep for babies. She is a volunteer for Chamber activities, working at and providing food for the annual Chamber Down Home Christmas event in appreciation to the community. She also works the annual 4-H Chicken Barbeque. Marilyn is a very generous and dedicated member of FCSLA and is always willing to lend a helping hand by donating, volunteering or helping wherever needed. She is very deserving of the FCSLA 2016 Fraternalist of the Year award. Congratulations!